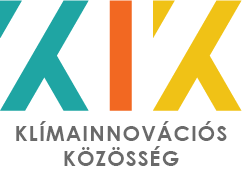 Our Climate Innovation Community is an independent knowledge-sharing and networking platform, founded by Climate-KIC Central Hungarian region. The Community is open for all climate innovation stakeholders in Hungary, i.e. experts, organisations and individuals interested in climate change and its economic implications. professional feedback about their R&D ideas or projects, with project development opportunities for selected initiatives (fundraising, introduction to market or incubation programme). If you are interested, register HERE! Membership is free of charge.